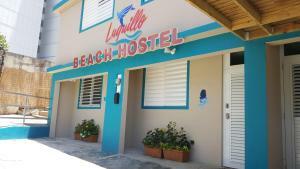 ﻿ Best Price on Ocean Pearl Inn in Luquillo + Reviews! Located on the beachfront in Luquillo and featuring a terrace, Ocean Pearl Inn has free WiFi. Some accommodations at the property include a balcony with a sea view. Rooms are complete with a private bathroom equipped with free toiletries, while certain rooms have a seating area. The rooms will provide guests with a fridge. Culebra is 28 miles from the inn, while Vieques is 24 miles from the property.